Insight to teen culture is an organization of diverse and dedicated professionals who are constructively working with teens and their families. We're the team who makes great things happen. Our team is creative, collaborative and passionate about supporting our community of youth. Stephanie Bien, LMFT, LPCC has been a licensed psychotherapist since 1992. Families are my specialty: Using play therapy with children, connecting and guiding teens, teaching “Parent Effectiveness Training” skills to adults, running groups for “Parent’s of Teens”, educating about “Co-Parenting through Divorce” and enabling families to build a stronger foundation through communication. ​New group starting for parents of children, tweens and teens to handle their frustration and P.E.T. "Parenting Class : Raising Cooperative Kids" in Agoura Hills/Calabasas. Ms. Bien is the co-author of "Bully Prevention Tips for Teens: 18 Powerful Ways to Protect Yourself through High School" and speaks and teaches about Bully Prevention. Stephanie also specializes in hospice care and counseling as well, enabling families to sort through and communicate about end of life issues. Helping the family to resolve the old issues, helps ease the way through the grief process. She is the founder of Insight to Teen Culture and co-founder of Get it Out! ​Please visit StephanieBien.com for more information. Audrey Newmont is a certified clinical Hypnotherapist, Spiritual Practitioner, and Life Coach. She offers assistance and tools that create solutions to the challenges that life presents. She has been a licensed therapist for thirteen years, and during that time she created a unique and empowering program that incorporates Science, Mind, and Spirituality. Formulated into a simple and easy to use process, Tools for Transformation, is a life changing system that Audrey developed in over twenty years of study and practice. Audrey is Co-Founder of Newmont Center for Balanced Living, there she holds classes and groups on Intentional Living, Choosing Calm to Cope, Focus on Success, Healthy Mind/Healthy Body, and others. For more information please visit her website at AudreyNewmont.com. Kent Toussaint, M.A. 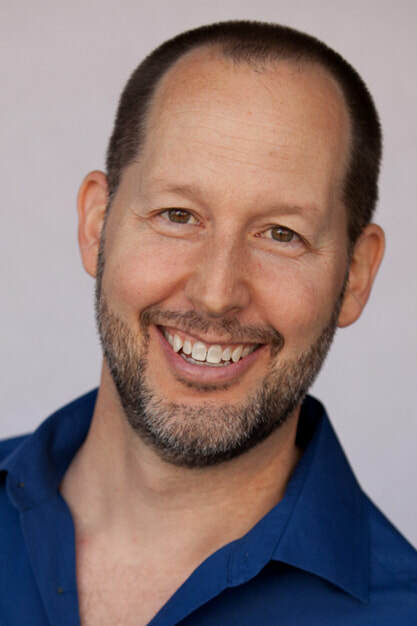 LMFT, LPCC is the Founder and Clinical Directory of Teen Therapy Center in Woodland Hills where he leads a staff of amazing therapists who specialize in helping kids, teens and families live happier lives. Kent is in the midst of launching a non-profit called, Child & Teen Counseling that will offer low cost counseling for kids teens and families while also training the next generation of amazing child therapist! In addition to supporting families through individual, family and group therapy, Kent can often be found presenting insightful and entertaining speaking engagements to local parents organizations regarding the difficult questions that parents face day in and day out. Kent can also be seen on television in his monthly segment on CBSLA Morning News called, “ASK KENT” where you can email your parenting questions and Kent will answer them live on TV! For more information, please visit, TeenTherapyCenter.com. ​Engage is comprised of a large private practice as well as providing several outpatient treatment programs for children, adolescents and adults who need more support. Our missions is to be a place that creates a safe, accepting environment empowering people to connect, learn, heal, and grow. Robin Gingold has been a pediatrician at Agoura West Valley Pediatrics since 1995. Dr. Gingold was born and raised in Los Angeles. She graduated with honors from Brown University with a Bachelor of Science in Psychology. She then attended University of Southern California, Keck School of Medicine and completed her pediatric internship and residency at Children's Hospital of Los Angeles. Dr. Gingold specializes in patients from birth until 21 years of age. She has developed a personal interest in adolescent development as she has two college age kids. Dr. Gingold has two offices, one in West Hills and one in Agoura Hills. She is a member of the AMA, AAP, CMA and LAPDS societies. Besides being a founding member of the Think Tank to Brainstorm for Teen Culture, she is a board member of the Muses of the California Science Center, runs a book club and enjoys exercise, cooking and gardening. For more information, please visit www.agourawestvalleypeds.com or join her facebook page at Agoura-West Valley Pediatric Medical Group. Danielle Matthew is a Licensed Marriage and Family Therapist who treats bully victims and their families and educates schools, medical professionals and the community about the bullying epidemic. With over 20 years of experience, Danielle authored Amazon Parenting Best-Seller, The Empowered Child , and is the Director of The Empowerment Space Bullying Therapy Program in Los Angeles. Featured in Huffington Post, Danielle has appeared on Good Day Sacramento, Good Morning Arizona, Good Morning San Diego, Mom Talk Radio, LA Mom Magazine and Kids In The House. Eve Loren Goldstein, Psy.D. is a Licensed Clinical Psychologist and Learning Disabilities Specialist who has devoted more than 20 years to the assessment and treatment of children and adolescents. Dr. Goldstein is the founder and director of Westchester Child Therapy in Scarsdale, NY and Calabasas Child and Adolescent Psychology in Calabasas, CA. Within the scope of her practice, she conducts comprehensive neuropsychological assessments and utilizes evidence based interventions to support children and their families with social and emotional issues that interfere with their everyday life. She has developed a specific program focused on organization and study skills, to assure the academic success of students, and created Developing Executive Function Skills for Academic Success, a manualized program for training teachers, which has been implemented across the country. Dr. Goldstein lectures on topics related to navigating school support services, executive functioning, and a wide variety of topics on parenting and family functioning. Dr. Goldstein is married, has three children, and works bi-coastally in Calabasas, CA and Scarsdale, NY. Overcoming a personal battle with addiction and mental health at a young age, Zach knows first-hand about the difficult road to recovery. In June of 2011, Zach successfully got sober. At just three and a half years into sobriety, Zach was diagnosed with Bi-Polar Disorder 1. Although this was a difficult period of time, Zach didn’t allow the setback to stop his recovery. After receiving proper care, Zach was more determined than ever to help others on similar journeys. In 2016, Zach moved to Jerusalem where he earned his International License as a Drug and Alcohol Counselor. After having worked two years abroad, he returned to Los Angeles in pursuit of helping others on a larger scale. While back in California, Zach worked for five different facilities before starting A Life After Recovery, or ALAR for short. ALAR helps people suffering from both substance abuse and mental health issues integrate back into mainstream society more seamlessly. Not only does ALAR work with individuals, but also with families in order to change family dynamics. ALAR is also proud to serve as an educational resource for our local communities and institutions such as high schools, colleges, universities, and hospitals. Keep connected with Insight to Teen Culture on Facebook!